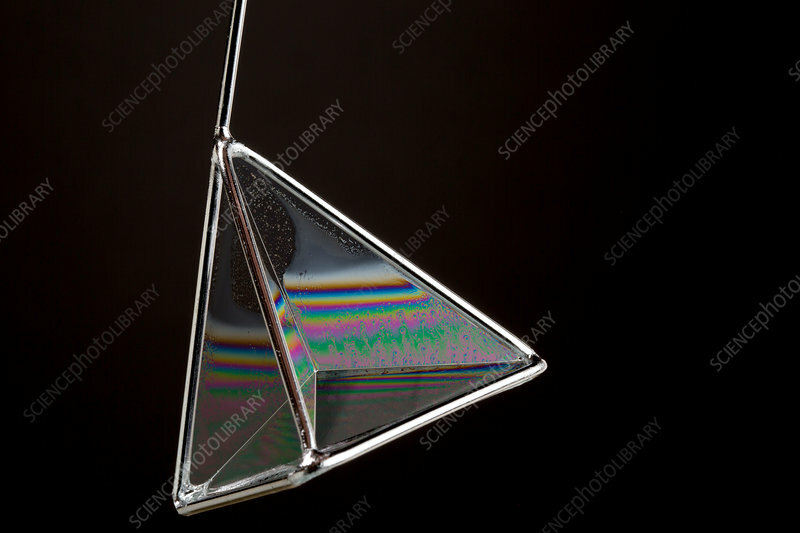 Soap film on a pyramid frame. Soap bubbles form sheets of minimum surface area when stretched between two points. Therefore, when stretched between straight metal wires they will form flat planes. The colours are caused by light waves interfering with each other in a process called optical interference. The different colours are caused by different thickness of the soap film.